Decorate your table with a fun set of napkins and coordinating placemats! 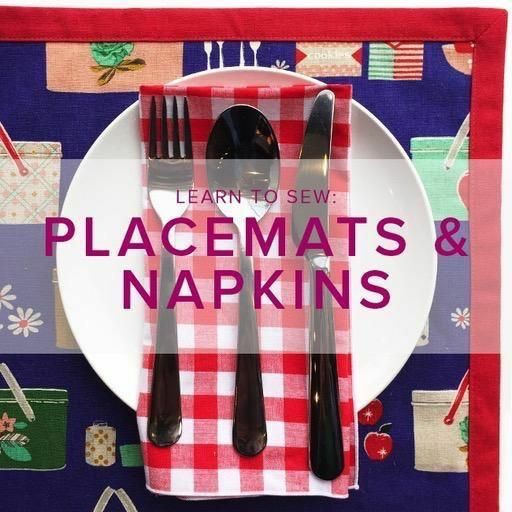 In this class you will learn to create rolled hems with a BERNINA serger and stitch perfect mitered corners to give your placemats a professional finish. You will gain experience using a rotary cutter, edge-stitching and learn pressing techniques. This class is perfect for first-time sewists and for beginners who want to gain confidence using our classroom BERNINA sewing machines. 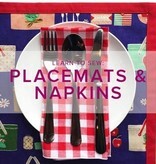 • Placemats Main: ½ yard print or solid medium-weight cotton canvas. *Thread for the sergers (napkin hems) will be supplied in class in a variety of neutral colors, which may include white, grey and black. *Time typically allows for finishing one placemat and two napkins during class. You may use our open sewing studio to finish your project or use the skills you learn in class to make more at home. Please purchase supplies in advance of your class. If you plan to shop for supplies the day of your class we recommend arriving at least 30 minutes early.